If you are searching for a multipurpose USB-RS422 Mitsubishi PLC cable for all your FX series PLC like FX0S/FX1S/FX0N/FX1N/FX2N then USB-SC09 PLC cable is one of the best option for you. 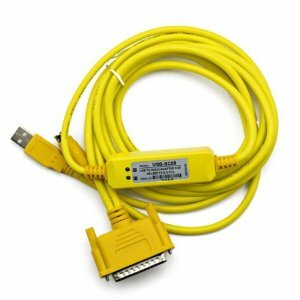 This cable is fully compatible with Windows XP, 2000/98/95 and also support Mitsubishi programming software such as FXGP/WIN V1.0, GPP V4.0, GX Developer V7.0 & above. Subscribe to Automation-Talk by Email.